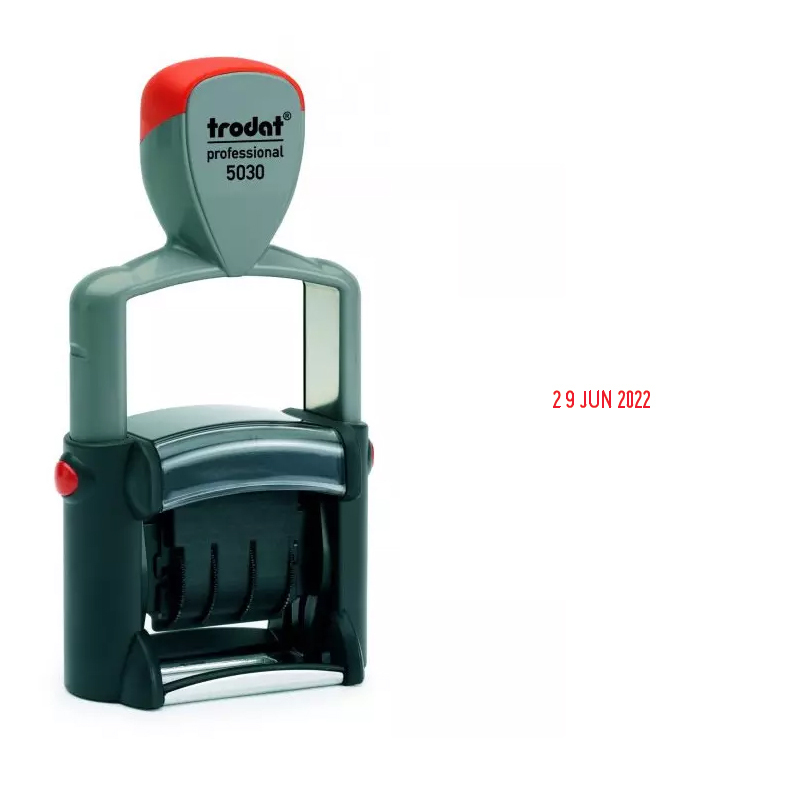 Both Customised And Comprehensive Range Of Pre-Manufactured Date Stamps With Or Without Text. Whether you work in the ‘Inward Goods’ department, ‘Dispatch’ or in an office, it is often necessary to record the date when something has been received or filed. 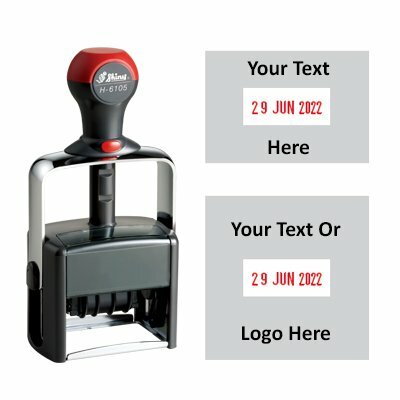 One can either write out the date long hand or you can use a purpose-built rubber stamp with date component to do the job for you. Whether it is a simple procedure of just entering the date or whether you would like to record the date plus more information pertinent to the task, a suitable date stamp would be perfect. Date stamps come in a large variety of sizes and applications from mini date stamps with 4mm character sizes, to large industrial grade steel reinforced stamps. If you are not sure which one you need, feel free to contact us first. Just a plain and simple date stamp: They come in different sizes and are built for low usage, office applications or high use, commercial grade date stamping. 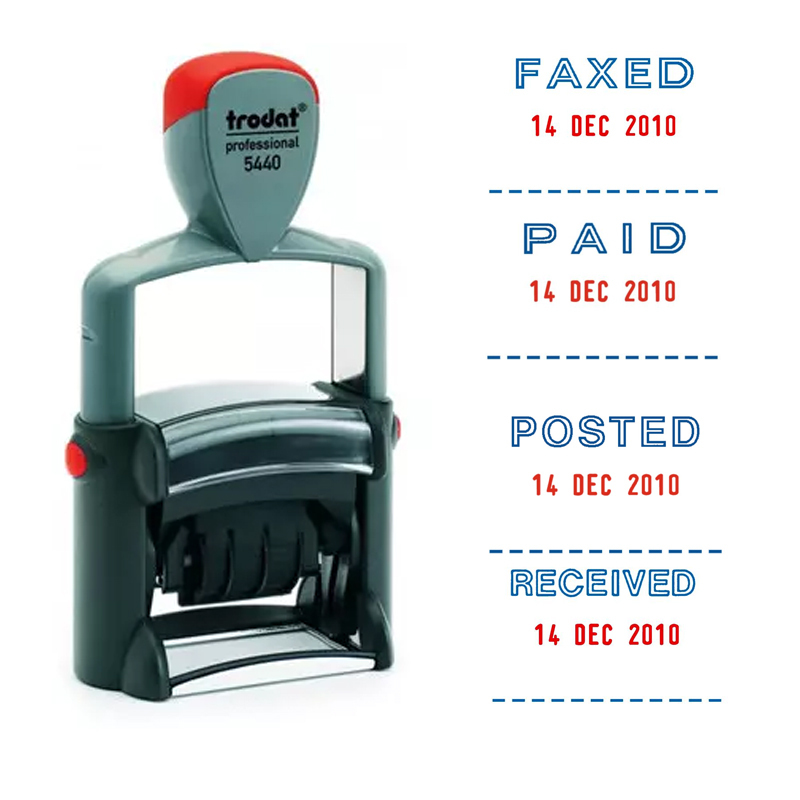 A date stamp with a typically highly used piece of text like ‘PAID’, ‘FAXED’, ‘POSTED’ etc. When you need a date stamp but want your own narrative, words and/or text to be applied to the blank text box surrounding the central date mechanism. They come in different sizes and are built for low usage, office applications or high use, commercial grade date stamping. See ‘Artwork (if applicable’ guide below. 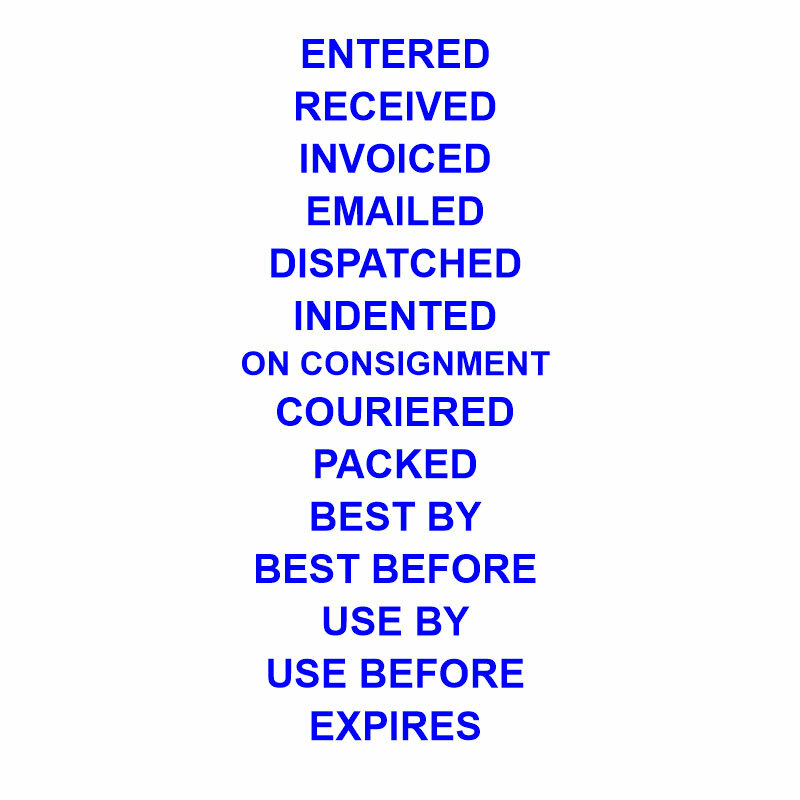 Need a Dater Stamp with ENTERED, RECEIVED, INVOICED, EMAILED, DISPATCHED, INDENTED, ON CONSIGNMENT, COURIERED, PACKED, BEST BY, BEST BEFORE, USE BY, USE BEFORE, EXPIRES. Choose DATE WITH CUSTOMISABLE TEXT & tell us which one you need.